Customized binders are an excellent way to make your presentations, proposals and manuals stand apart from the crowd. In construction projects, our custom binders are where “safety and regulation” meet “marketing and branding.” You can stand out by showing how much you care about safety and compliance with your own professional, customized safety manuals or training manuals. 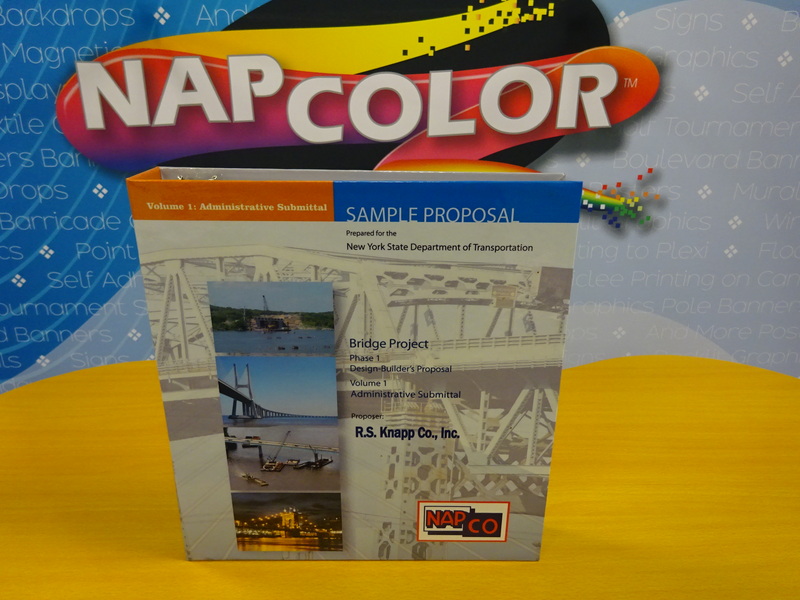 Specialists at NAPCO will work with you to create custom binders and folders to fit your needs. Choose from different sizes and options. Options include Color Copies, Custom Tabs, CD Pouch, Special Pages, Special Page Sizes and more. Get your own Customized Three-ring binders, bound books, or custom folders. There are endless customization options available using your logos and brand message. These custom binders and folders are very powerful marketing tools that literally put your message and logo into the hands of decision makers. Give us a call at 201-438-1500. Custom estimates available on request.